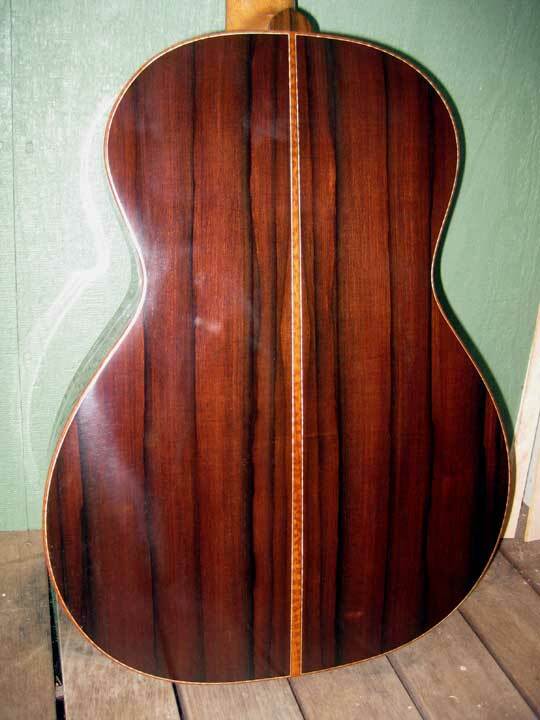 FT-14-JB/2 in MadRose/Italian Spruce for Paul Reynolds in 2010, by Bruce Sexauer, luthier. Something new! 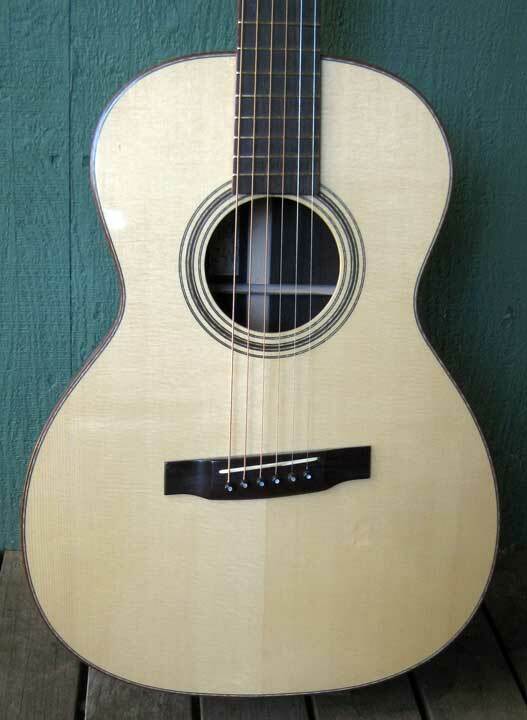 This is my regular 14 fret 00 sized guitar with a more subtle yet Multi-Scale treatment. 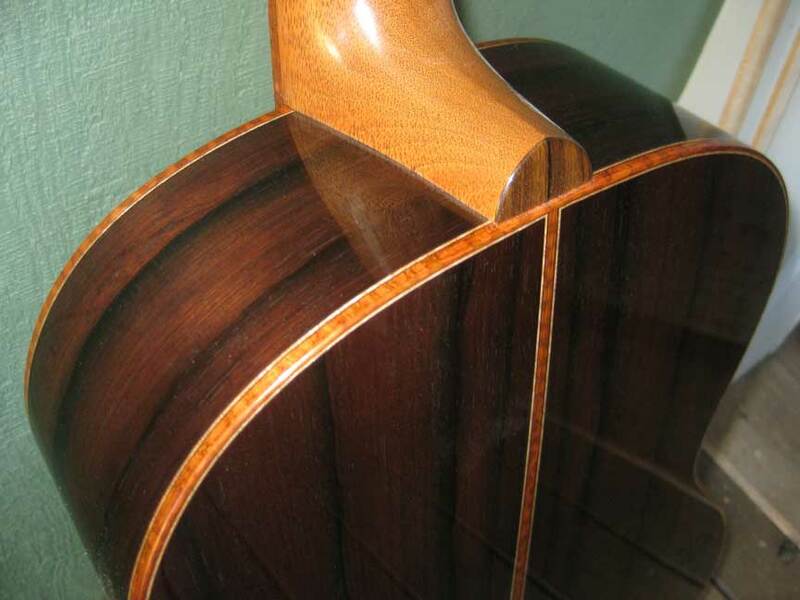 The difference between the shortest and the longest strings is just 1/4 inch, half my normal JB, or JB/2. 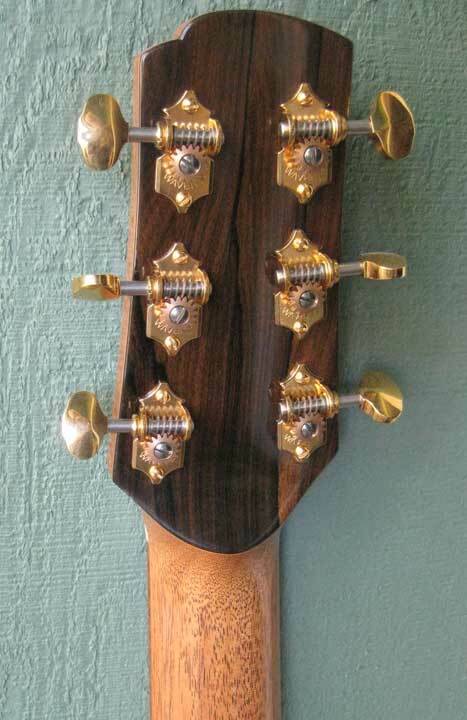 Ziricote head plates, MadRose bridge, Snakewood binding, Waverly Gold.